Dr. Johnson has published a book and more than 200 articles, reports, and papers. His peer-reviewed publications have appeared in leading academic journals. He is also sought after for his expertise and ability to explain demographic information to a broad audience both by policy groups and by reporters. His research has been funded by grants from the National Institutes of Health, U.S. Department of Agriculture, Economic Research Service, U.S. Forest Service, The National Aeronautics and Space Administration and the Carnegie Corporation of New York. He received his doctorate degree in sociology and demography from the University of North Carolina and his undergraduate training at the University of Michigan. Dr. Johnson was recently selected as an Andrew Carnegie Fellow and received the country’s most prestigious fellowship to advance research in the social sciences and humanities. 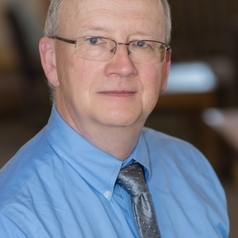 Dr. Johnson has also been honored by the Rural Sociological Society with its excellence in research award and received the University of New Hampshire's Class of 1940 Professorship and Faculty Excellence in Research Award based on the quality, originality, and significance of his scholarly work.